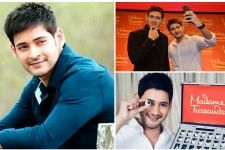 Superstar Mahesh Babu who soon will be having his statue at the Madame Tussauds museum is the first Indian for whom the life-size statue will be flown to his hometown for a day. Owing to Mahesh's mass appeal and humongous fandom, Madame Tussauds team have decided to fly down the actor's wax statue just for a day to Hyderabad. The Statue will be kept at his theatre, AMB Cinemas, in Hyderabad. This is happening for the first time that any Indian actor's wax statue is being brought to India. The statue will later be sent to Madame Tussauds museum in Malaysia. Mahesh Babu not only has a fanbase in India but he has got a huge fan base internationally too. Considering the unfathomable fanbase of Mahesh Babu, Maharshi has also generated immense buzz amongst the audience across the nation. For his last outing Bharat Ane Nenu, Mahesh Babu not only garnered immense appreciation from critics and audience but also broke major records at the box office. Mahesh Babu will be seen in much leaner and stronger look in Maharshi which will hit the screens in April 2019. Triple bonanza for Mahesh Babu fans in Maharshi! Fans go Gaga over Mahesh Babu's Rishi in Maharshi! Mahesh Babu feels HONORED as his Statue was launched in AMB Cinemas! Mahesh Babu REVEALS how many fans came for his Wax Statue Launch! 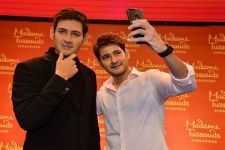 Check out Mahesh Babu clicks a selfie with his Wax statue! Ranveer's Apna Time Aayega BECOMES the BIGGEST hit of 2019! Baaghi 3 FINALLY gets its LEADING lady!